Hello again fellow coffee loving friends! My next coffee shop guide features a small, but mighty shop, Neat Coffee. 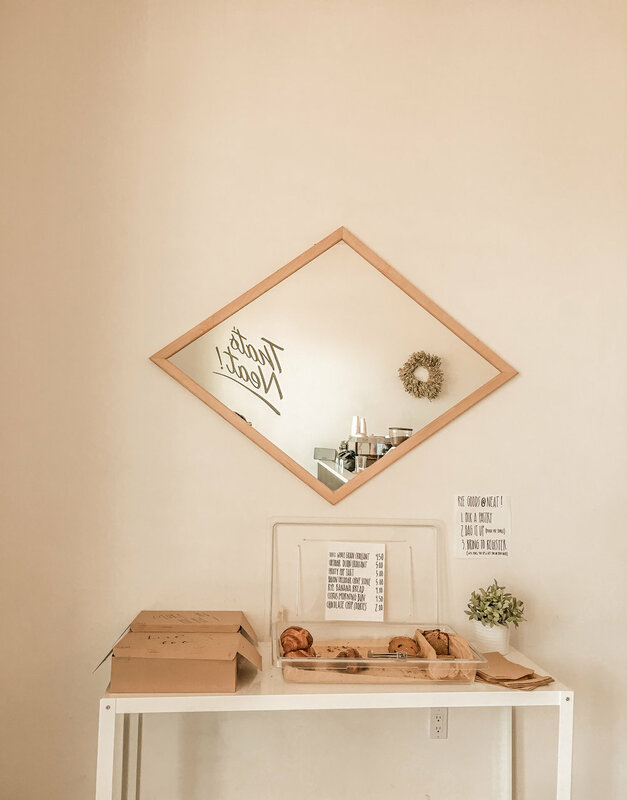 Located in Costa Mesa, this little shop has never failed to deliver excellent coffee and a friendly smile. It can be a little challenging to find since it is located on the business side of town and the actual coffee shop shares the space with FLDWRK, a shared working space where people can pay an hourly rate to hang out and get some work done. That said, they do offer some outdoor seating if you are looking to hang out for a little bit. And while the shop is tiny, it very aesthetically pleasing and clean and I adore the That's Neat wall art they have in the shop. Their menu is small and simple but they do offer seasonal specials and specialize in making their own syrups in house which I love! One of their current seasonal offerings is coffee soda, which I have not personally tried myself but am very interested in the concept! Along with their coffee menu, they do sell some Rye Goods pastries as well as Meet the Source bliss balls - I myself always have to go for the bliss balls. So whether you're going on a coffee shop crawl and visiting out of town or are a local to the OC area, definitely stop on by Neat Coffee for some great quality coffee! And if you're a drip coffee fan, you can get one for free from Neat by using my link here: https://app.growthat.co/give/2c92deae633e3371016341a4db750035 :) Happy sipping and until next time!